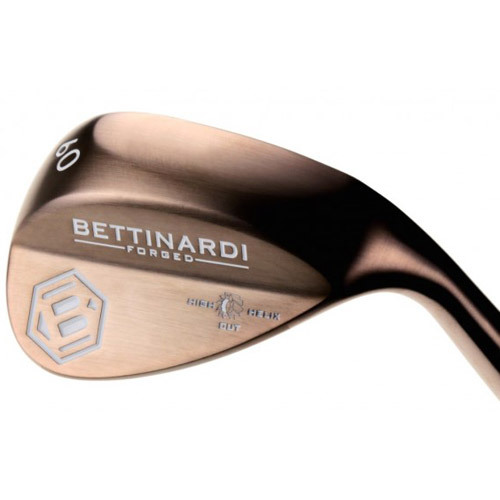 Bettinardi Golf is adding to our short game arsenal with the introduction of our tour designed forged wedge line. H2 stands for High Helix, which is an aggressive machine tool that cuts the face of each wedge. The milling cutter removes metal at a very fast pace leaving a unique milling pattern that provides improved contact in both wet and dry conditions. 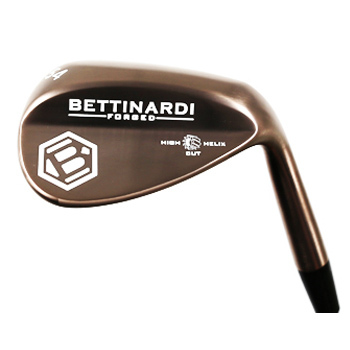 The H2 wedge line incorporates the beauty and performance that you have come to expect from the Bettinardi brand. The High Helix cut wedge features milled groves that imparts an exceptional spin, while still retaining its pure feeling at impact. The Satin Nickel finish gives a classic appearance while the Cashmere Bronze offers an elegant and confidence inspiring look at address. 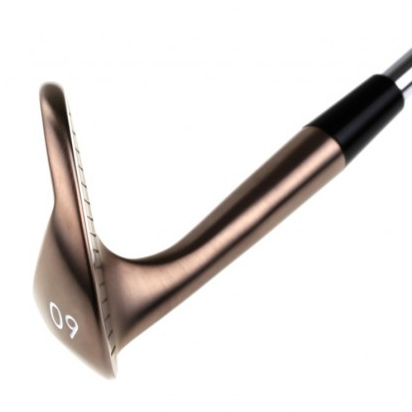 The C-Grind allows the leading edge to rest on the ground longer, which creates maximum performance on open faced wedge shots. After long being recognized for our premium putters, we are bringing the same precision and excellence to meet all of your short game needs. 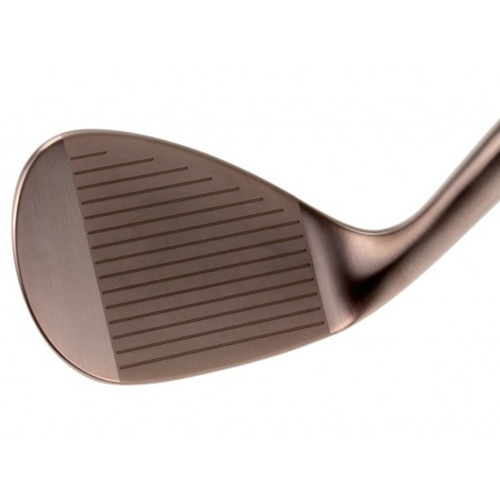 Like all of our products, the H2 wedge is a finely crafted, precision tool made for players of all skill levels. 35 3/8" 35 1/4" 35 1/4" 35 1/8" 35 1/8"